Colchester’s Zoo aardvark burrow houses our main burrow for the group of aardvarks as well as a private off-show birthing area for an expectant mother. They are expert diggers so we have created them an outdoor area to explore. 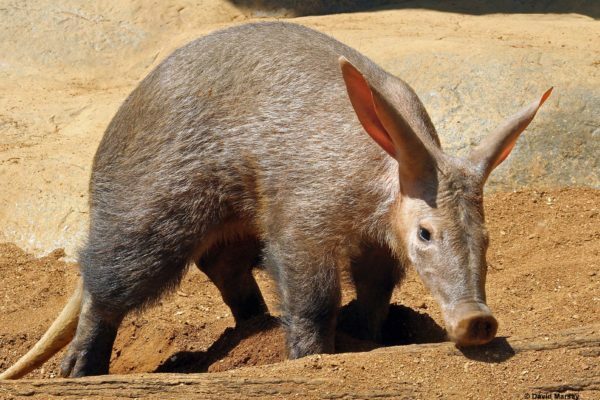 Colchester Zoo is part of the European Studbook Breeding Programme which our aardvarks are apart of. We have been very successful in breeding our aardvarks with 8 offspring since 2007. Our team of keeper’s import terminate porridge for our aardvarks who can eat up to 50,000 insects each night which it collects with its sticky tongue that it can extend to 30cm. As aardvarks are nocturnal, they may be curled up sleeping so make sure you check out their indoor burrow.